Nestled in a delightful setting, with views of the beautiful Macdonald River from the forecourt, the St Albans School of Arts Hall is a journey to Australia’s past. Built by local residents in 1936 and lovingly cared for by the St Albans community, it is one of few remaining charming community buildings of this type. 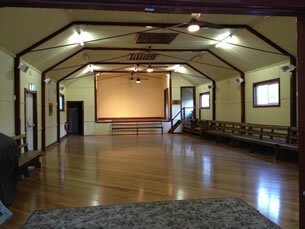 The simple corrugated iron exterior, reminiscent of our colonial heritage, gives way to a large interior space with good amenities, including disabled access, a small stage and an excellent floor for dancing. The hall can be hired for a variety of functions, either as a basic space or with full access to a workable kitchen (including cutlery, crockery and glassware) for weddings, parties and reunions. Free parking is available adjacent to the site. 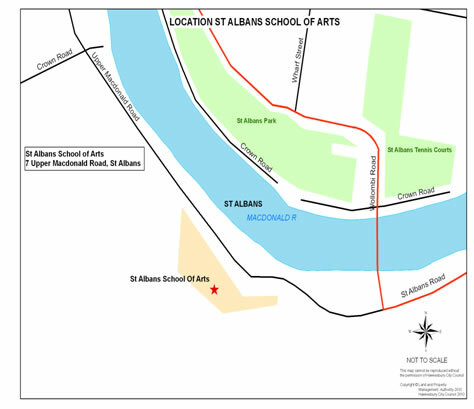 The St Albans School of Arts Hall is located within the village of St Albans and is approximately 20 km from the town of Wisemans Ferry. 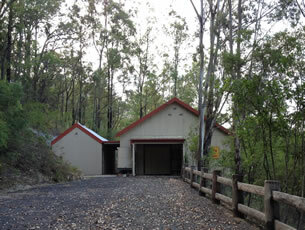 From there it can be accessed by bitumen road, via Webbs Creek car ferry (operating 24 hours per day).